Rubber Room Ramblings: GORGEOUS GRACEFUL GLASS VELLUM!! This is one of the cards I will be mailing today as part of my ongoing Mail it Monday challenge. I have challenged myself to mail a minimum of 5 cards every Monday. This will help spread the love of Happy Mail AND help me dwindle down the tons of handmade cards I am hoarding. 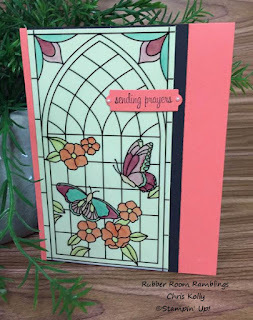 Will you join me in the Mail it Monday challenge? 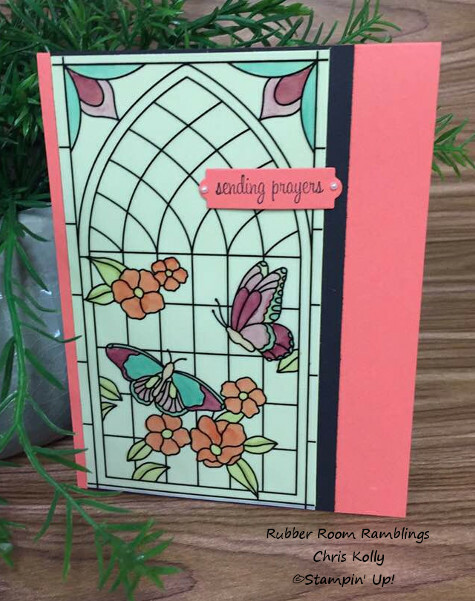 This card features the brand new 6x6 Graceful Glass Designer Vellum. This is the most luscious vellum paper ever! You can add color to it in so many different ways, or leave it blank! I will be featuring this vellum paper in my June 14, 2018 Tips, Tricks and Tasty Treats class. You can check out the clas details HERE! DON'T MISS THE BOGO AND BINGO RUBBER ROOM EVENT! DON'T MISS THE WONDERFUL WHEEL OF PRIZES DEAL! THE BIG REVEAL IS HERE! TRIPLE THREAT THURSDAY IS NEXT WEEK! YOU'VE GOTTA LOVE THE PRIZE WHEEL!